Abstract, colourful, and fun, Natalie Bruvels’ paintings are seductive and, when you lean in close, sometimes just a little bit disturbing. You spot an eye here, a tongue there, then begin to see various figures hidden in the greater whole. These also have the most fabulous names: Red Clover Catapult, Sunflower Salute, and Disco Cabbage Odyssey, to name a few. For her most recent series, the Ottawa artist used words spoken by her son that piqued her curiosity, recording them in quick lists. “I assemble my found poetry and make the titles. No over-thinking required,” she explains. 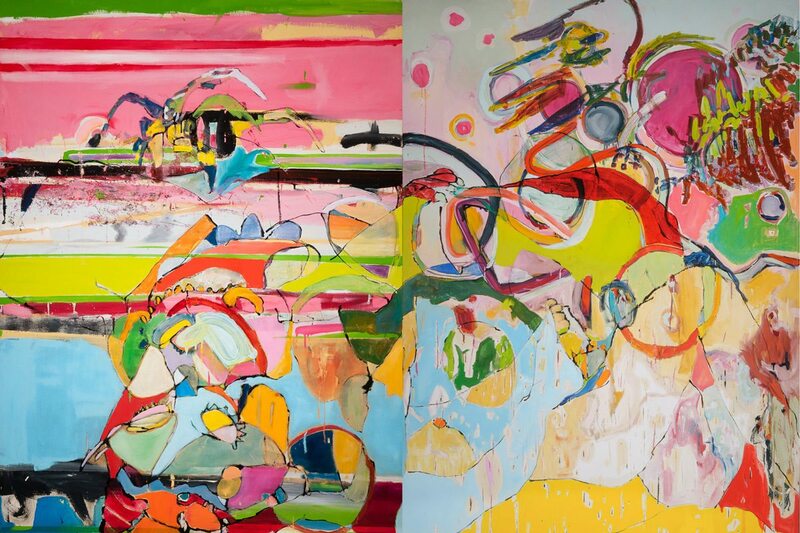 Carried by The Sussex Contemporary, her exuberant works have also found their way into a few public spaces, including the walls of Magpie Jewellery and Simons. Everyone has heard the saying “everything old is new again.” In this case, it’s new and improved. Natalie Eedson of Woolgathering Ottawa started down the macramé wormhole in 2016, watching videos and teaching herself all the classic knots. 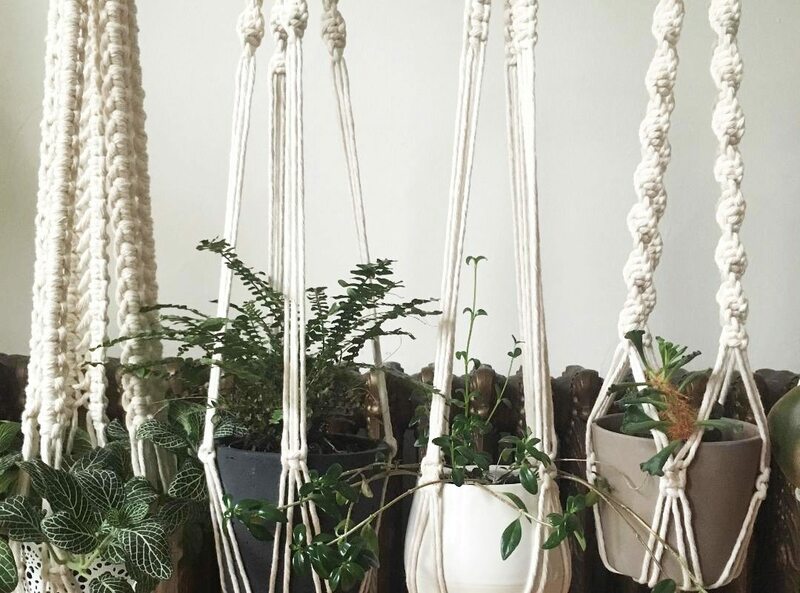 She has now perfected the art, using cotton cord to create sophisticated plant holders that are only a very distant cousin to those 1970s’ jute numbers. Want to make your own? Check Eedson’s instagram and sign up for her next DIY course. Or just pick up one of Eedson’s creations at Plant & Curio or Bloomfields. 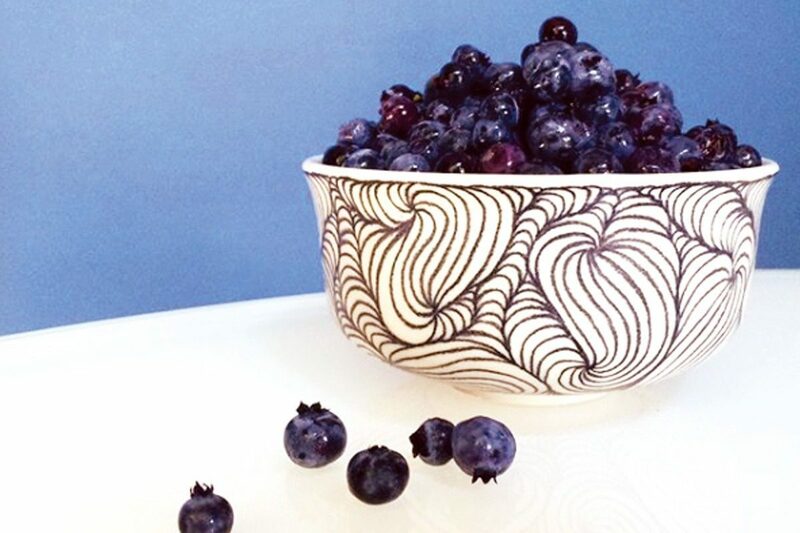 Subtle yet bold, simple but graphically complex, the pottery found at JB Ford Studio is, most importantly, functional. “I stick to a neutral palette and aim to create pieces that are interesting enough to stand alone but simple enough to complement how they are used, whether it’s for the plants we keep, the flowers we cut, or the food we prepare,” says Jeremy Ford, who handcrafts his pieces out of hip west-end haven Almonte and sells through Etsy.